TTN, 15th Feb 2016: This article explores what large cities around the globe do to invest in their night-time economies – including targeted police beats that cooperate with bar owners, staggered closing times to prevent critical masses of revellers, and even little teams of volunteers diffusing sticky situations one by one. London: Amsterdam’s Night Mayor, Mirik Milan, has urged Sydney to explore different, more innovative ways to minimise alcohol related violence, arguing that lockout laws will make it impossible to nurture the city’s night time economy and destroy its life after-dark. And according to Inspector Matt Butterworth, of London’s Metropolitan Police, a 27 per cent drop in alcohol-related violence and theft in the city’s West End has been achieved over the last year thanks to a ground-breaking specialist policing project aimed at working closely with local pub, club and business owners and a preference for “dispersal over arrest”. Based on a model pioneered in New York’s Time Square, the so-called “High Impact Zone” project began in the British capital 18 months ago. It saw the creation of a specialist squad of 100 officers, hand-picked by the commissioner, who only work London’s West End district, heart of the city’s night life and home to 3000 pubs and licensed venues. Every Friday and Saturday night, an estimated 225,000 people visit the West End and for many years, crime statistics were higher here than anywhere else in Britain. Officers now work a mixture of dedicated micro-beats and fixed policing points on local streets and liaise directly (by radio) with local business owners, club security and venues throughout the night. Footfall CCTV cameras act as early intervention tools and officers are trained in preventive work, to spot trouble before it ignites. The squad all wear high visibility vests and have become a remarkably friendly fixture – often consulted by tourists – in and around Piccadilly and Leicester Square. Mirik Milan says the Dutch capital is the first European city to appoint an official advocate for the city’s nightlife and economy, a plan now emulated by Paris, Nantes and Toulouse. London and Berlin are also considering similar appointments. “In my role, I start up debate and discussion and this includes looking at the reality that there are downsides to the night time and help find new ways to resolve these. Heavy drinking, violence … they have been big problems for Holland too. We had huge binge drinking of young people,” says Milan. Amsterdam, he says, has successfully addressed noise and amenity problems by extending, not restricting, club opening hours, encouraging staggered closing hours in different venues to minimise crowd impact on exit and by offering planning incentives to persuade 24-hour, loud clubs to set up outside the denser CBD areas. In the capital’s famous squares and centre, a program called “square hosts” has been set up, using volunteers who are trained to walk the streets and explain detailed good behaviour rules and identify and de-escalate potential problems. Milan says that often, club patrons will emerge from noisy venues and be unaware they are shouting and a simple explanation or reminder about neighbours can be enough. “If you only act from fear, you always make the wrong decision. 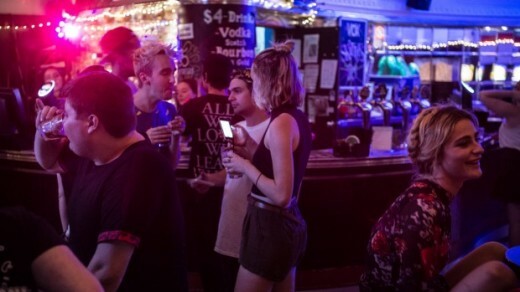 What is happening in Sydney shows that first and foremost, policy makers must understand that so many social, cultural and economic benefits come from a city’s night economy,” he said. “Music, the visual arts, businesses in the creative industries … these often come with or are byproducts of vibrant after dark economies. Closer to home, Tarun Asthana was killed in central Auckland, New Zealand, by a single punch in 2013. There, alcohol is officially classed as a “driver of crime” and drinking after 1am can only take place in the CBD, where licences extend until 4am. The Sale and Supply of Liquor Act 2012, which came into operation in December 2013 but was not influenced in any way by Mr Asthana’s death, ended 24-hour drinking in the city, but the police would now like to see closing hours in the CBD cut back to 3am. New proposals by Auckland Council include limiting off-licence hours to 9am to 9pm and, in opposition to the police’s demands, extending drinking hours to 3am in the rest of the city and maintaining the CBD’s 4am limit.